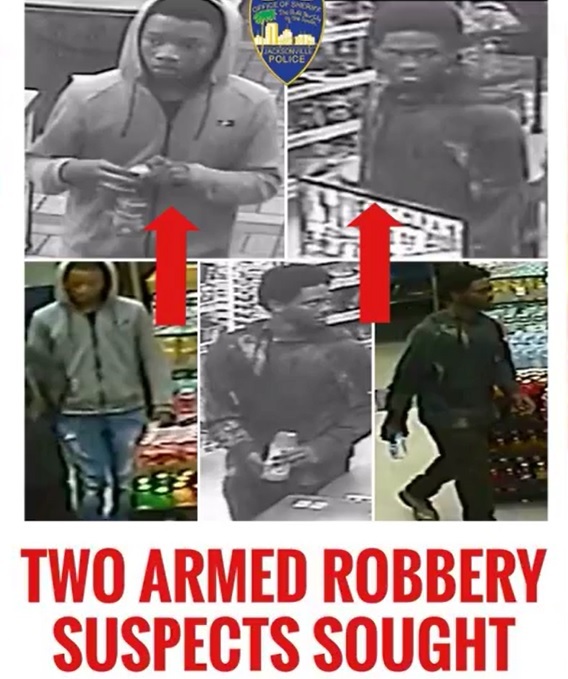 The Jacksonville Sheriff’s Office is currently investigating a reported armed robbery and we are asking for the community’s assistance in identifying the suspects. On Saturday, December 15, 2018 just after 1:30 a.m., the victim approached the drive-thru ATM machine at the Wells Fargo located in the 800 block of Dunn Avenue. As the victim used the ATM..., the two suspects approached his vehicle on foot. 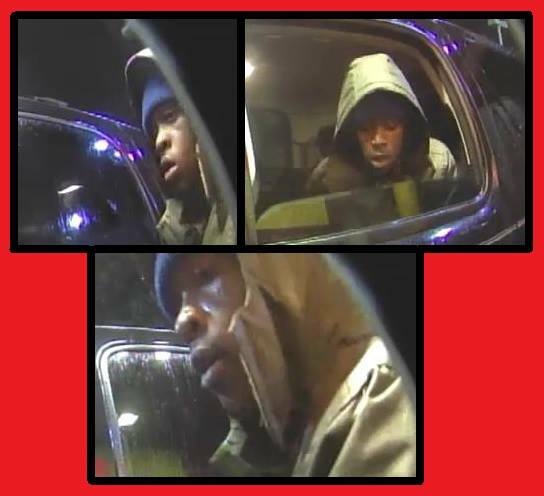 The pictured suspect, while armed with a firearm, approached the driver’s side window and made demands of the victim to withdraw money. The second suspect entered the victim’s vehicle from the passenger side. After obtaining the money, the victim was forced out of his vehicle and the suspects fled the area. The victim’s vehicle was recovered a short time later. Both suspects were described as black males, 18-20 years old and wearing dark clothes. Anyone who has any information in regards to the identity of the pictured suspect is asked to contact the Jacksonville Sheriff's Office at 904-630-0500 or email us at JSOCrimeTips@jaxsheriff.org. To remain anonymous and receive a possible reward up to $3,000 contact Crime Stoppers at 1-866-845-TIPS (8477) or click on the "Submit A Tip" tab to the right of this post. The Jacksonville Sheriff’s Office is searching for two armed robbery suspects. If you know who either of these suspects are, call JSO at 904-630-0500 or email us at JSOCrimeTips@jaxsheriff.org. 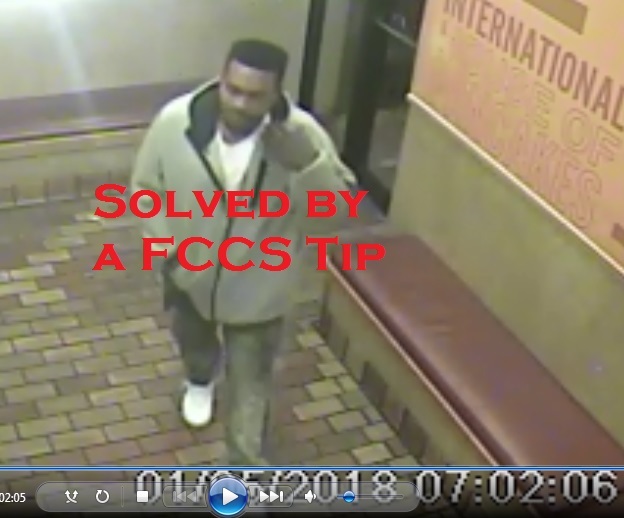 To remain anonymous and be eligible for a possible reward up to $3,000 if your tip leads to an arrest, call First CoastCrime Stoppers at 1-866-845-8477. On Friday, July 27th, shortly after 10:30AM, a black male entered the Wells Fargo bank and committed a robbery. No weapon was displayed. The suspect left on foot with an undisclosed amount of money. He was last seen running north on Aquatic Drive near Sunrise Community Church. The suspect is described as a black male, approximately 5’6”, average build; wearing blue jeans and a dark colored t shirt, an orange vest that had “Miller Electric Company” printed on the back (which was recovered), and a baseball hat. 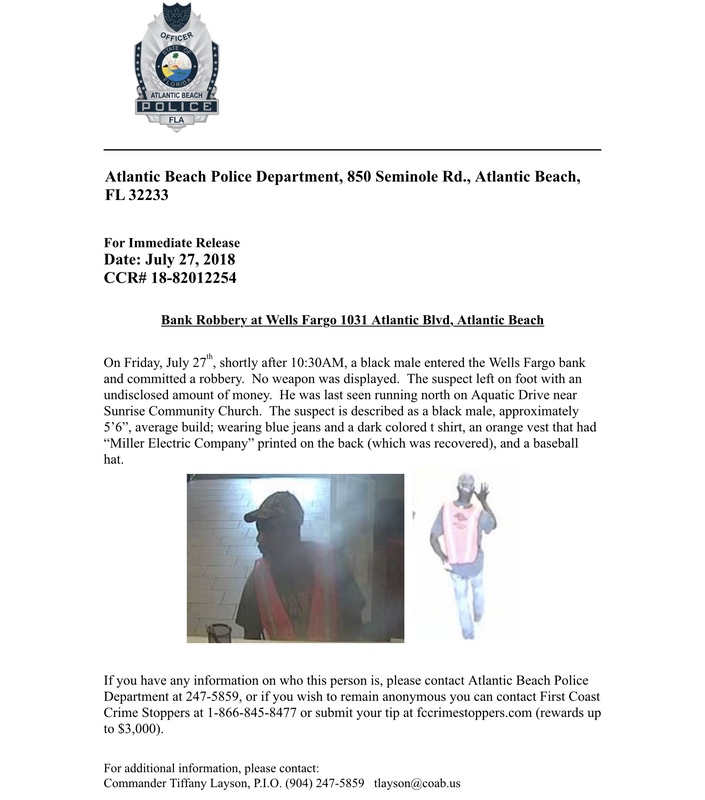 If you have any information on who this person is, please contact Atlantic Beach Police Department at 247-5859, or if you wish to remain anonymous you can contact First Coast Crime Stoppers at 1-866-845-8477 or submit your tip at fccrimestoppers.com (rewards up to $3,000). On Tuesday, July 17, 2018 at 10:30 am officers responded to a reported armed robbery at the business of Jax Rose Arcade in the 1000 block of Edgewood Avenue North. Investigation revealed the suspects entered the business, approached an employee while armed with a handgun and demanded money. The suspects then fled the area in an unknown direction. Anyone who has any information in regards to the identity of the pictured suspects is asked to contact the Jacksonville Sheriff's Office at 904-630-0500 or email them at JSOCrimeTips@jaxsheriff.org. To remain anonymous and receive a possible reward up to $3,000 contact Crime Stoppers at 1-866-845-TIPS. The Jacksonville Sheriff’s Office is asking for the community’s assistance in identifying the pictured suspect as a result of a robbery and shooting. On Wednesday, July 25, 2018 just after 10:30 am, the pictured suspect entered the BP Gas Station in the 6800 block of Arlington Expressway. He produced a firearm that was concealed in his waistband and demanded money from an employee. The employee was compliant with the suspect’s demands, however, following the robbery the suspect shot the victim prior to fleeing the area. Anyone who has any information in regards to the identity of this suspect is asked to contact the Jacksonville Sheriff's Office at 904-630-0500 or email them at JSOCrimeTips@jaxsheriff.org. To remain anonymous and receive a possible reward up to $3,000 contact Crime Stoppers at 1-866-845-TIPS. On Monday, May 21, 2018 at 1:05 p.m. an unknown suspect entered Vystar Credit Union located at 1700 N. Main Street. The suspect approached the teller and handed the teller a note demanding money. The suspect was given money and the unknown suspect fled in a vehicle. The vehicle was last driving south on Main Street. 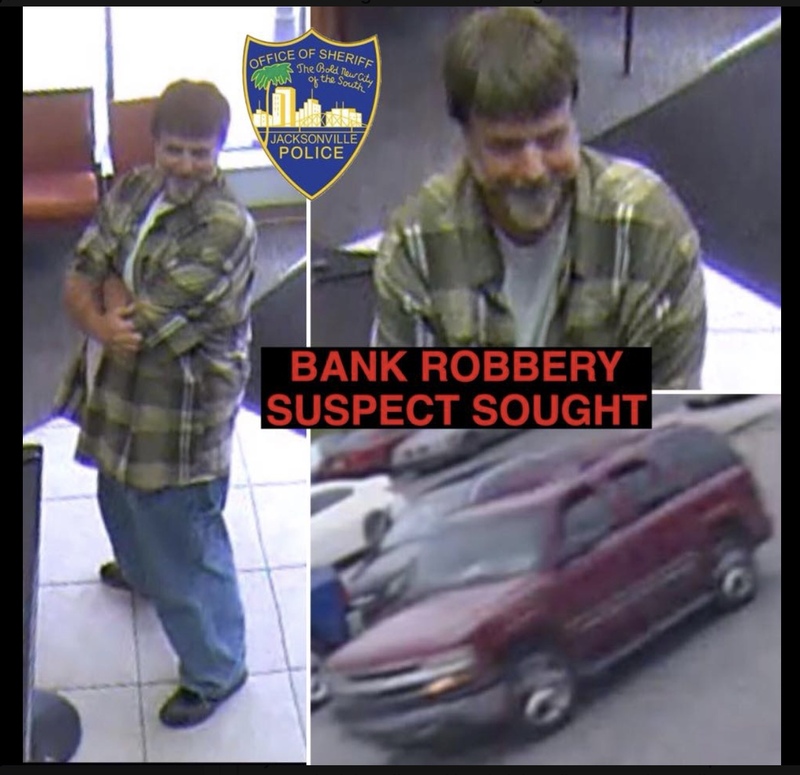 Anyone who knows any information about the identity or location of this bank robbery suspect or knows where this vehicle is at, is asked to please contact JSO at 904-630-0500 or email them at JSOCrimeTips@JaxSheriff.org. 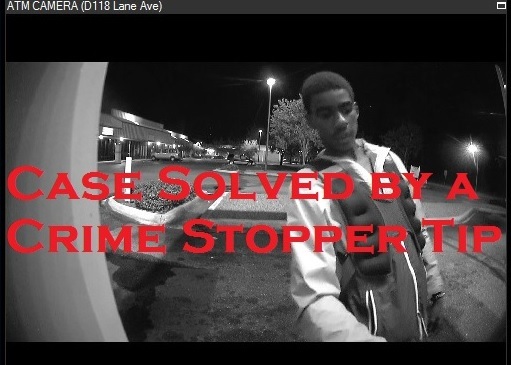 To remain anonymous and be eligible for a cash reward of up to $3,000 if your tip leads to an arrest, please contact Crime Stoppers at 1-866-845-TIPS.nyou can click on the “Submit a Tip” tab to the right of this post. On Tuesday, May 15, 2018 at approximately 4:20 pm, patrol units responded to the 6000 block of Youngerman Circle (121 Financial Credit Union) in reference to a reported robbery. Investigation thus far has revealed the pictured suspect entered the financial institution and handed the teller a note demanding money. The teller complied with the demands and gave the suspect an undetermined amount of money. The suspect fled the area and was last seen on foot heading in a Northwest direction. The Jacksonville Sheriff’s Office is asking for the community’s assistance in identifying a bank robbery suspect in the Arlington area. On March 7, 2018 just prior to 2:00 pm, patrol units responded to the 2700 block of Monument Road (Bank of America) in reference to a reported robbery. Witnesses advise the suspect approached the teller area and passed a note demanding money. The teller complied with the demands and he fled the area on foot into the Ashbrook Subdivision. The suspect is described as a black male, 6’0” tall, medium build and complexion. He was wearing a black beanie, a blue hooded sweatshirt and sunglasses. Anyone who has any information in regards to the identity of this suspect is asked to contact the Jacksonville Sheriff's Office at 904-630-0500 or email them at JSOCrimeTips@jaxsheriff.org. 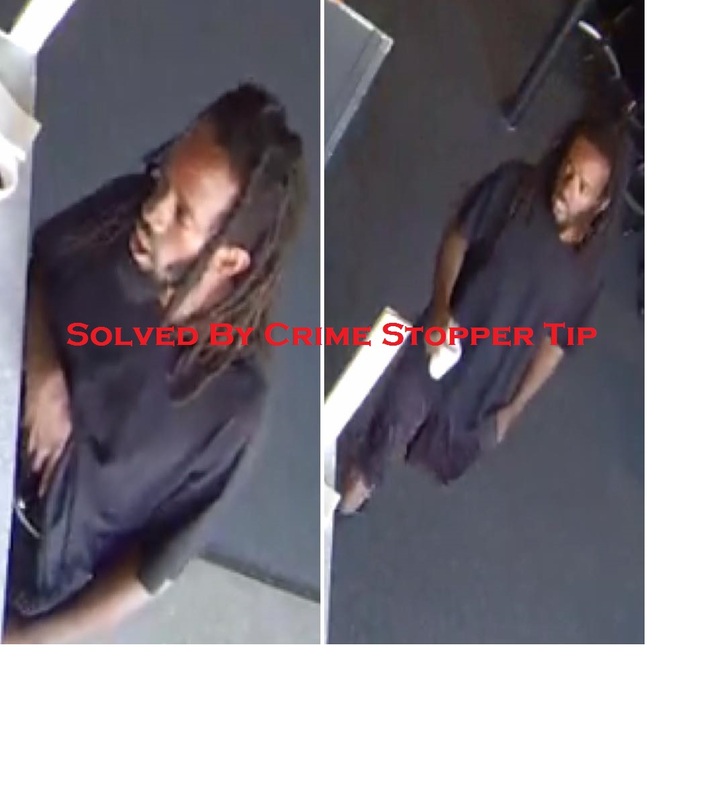 To remain anonymous and receive a possible reward up to $3,000 contact Crime Stoppers at 1-866-845-8477 or you can click on the "Submit A Tip" tab to the right of this post..
On Monday, February 26, 2018 officers responded to a reported bank robbery at Alive Credit Union in the 3000 block of Lenox Avenue. Investigation revealed that the suspect entered the bank at approximately 5:00 p.m. and presented a note to the teller demanding money and making threats. The employee complied with the demands and the suspect fled the area. The suspect is described as a black female approximately 40-50 years old, 5’6...”-5’7” tall and 170-180 pounds. She was said to have short hair and was wearing glasses. It is believed at this time, the suspect arrived and departed in the pictured white sedan type vehicle. Anyone who has any information in regards to the identity of this suspect is asked to contact the Jacksonville Sheriff's Office at 904-630-0500 or email them at JSOCrimeTips@jaxsheriff.org. To remain anonymous and receive a possible reward up to $3,000 contact Crime Stoppers at 1-866-845-8477 or you can click on the "submit a tip" tab to the right of this post. On Friday, January 5, 2018 at 5:00 a.m. an armed robbery occurred at IHOP located at 7940 103rd Street. The suspect entered the store, demanded money and appeared to be holding a gun. The suspect was told by the employee they did not have access to the money. The suspect then demanded the employee’s wallet. The employee ran into the kitchen and the suspect fled out of the store and left in a vehicle described as a burgundy Grand Marquis with a grey bumper. 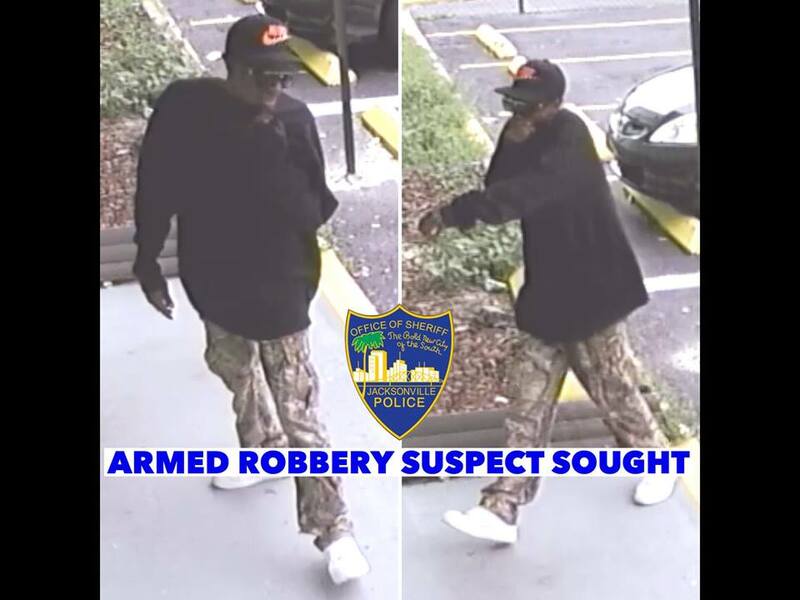 Anyone who has any information in reference to the identity or location of this armed robbery suspect is asked to contact the Jacksonville Sheriff's Office at 904-630-0500 or email them at JSOCrimeTips@jaxsheriff.org. To remain anonymous and receive a possible reward up to $3,000 contact Crime Stoppers at 1-866-845-8477 or you can click on the "submit a tip" tab to the right of this post.. 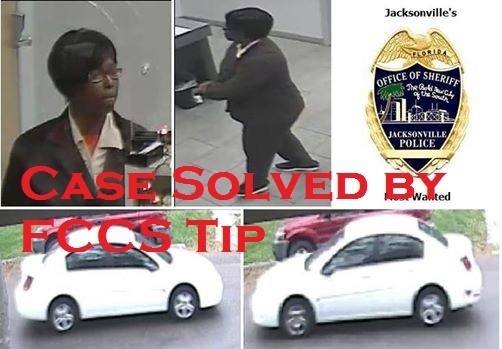 Anyone who has any information in reference to the identity of either person in the photos is asked is asked to contact the Jacksonville Sheriff's Office at 904-630-0500 or email them at JSOCrimeTips@jaxsheriff.org. To remain anonymous and receive a possible reward up to $3,000 contact Crime Stoppers at 1-866-845-8477 or you can click on the "Submit A Tip" tab to the right. Anyone who has any information in reference to the identity or location of this armed robbery suspect is asked to contact the Jacksonville Sheriff's Office at 904-630-0500 or email them at JSOCrimeTips@jaxsheriff.org. To remain anonymous and receive a possible reward up to $3,000 contact Crime Stoppers at 1-866-845-8477, or click on the "Submit a Tip" tab to the right of this post. On Wednesday, August 16th, at 6:40pm, an Armed Robbery occurred at Metro PCS located at 2045 Kings Road. The suspect entered the store and demanded money while pointing a black handgun at the employee. The suspect was given money from the cash register. The employee was forced to lie face down on the floor when the suspect fled. 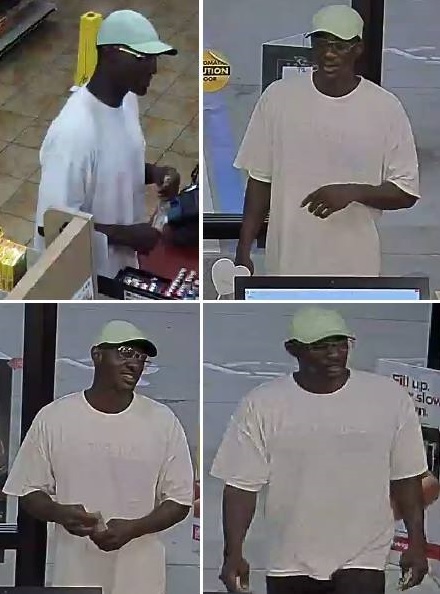 Anyone who has any information in reference to this armed robbery suspect in the photos is asked to contact the Jacksonville Sheriff's Office at 904-630-0500 or email them at JSOCrimeTips@jaxsheriff.org. To remain anonymous and receive a possible reward up to $3,000 contact Crime Stoppers at 1-866-845-8477 or you can click on the "Submit A Tip" tab to the right. On Tuesday, August 15, 2017 at 5:26 p.m. an unknown suspect knocked on the door of Fun Spot 2 located at 6301 San Juan Avenue. The clerk came to the door and the suspect asked the clerk if he can play games inside the business. The suspect entered the door and pulled out a black handgun and pointed it at the clerk. The suspect pushed the clerk back towards the cash register. At that time the clerk fainted. The suspect opened the cash register, took the money, and the clerk’s purse. The suspect fled out the front door and was last seen jumping a fence north of the business. 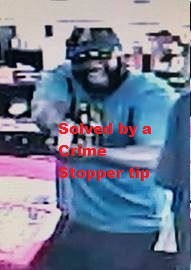 Anyone who has any information in reference to the location or identity of this armed robbery suspect is asked to contact the Jacksonville Sheriff's Office at 904-630-0500 or email them at JSOCrimeTips@jaxsheriff.org. To remain anonymous and receive a possible reward up to $3,000 contact Crime Stoppers at 1-866-845-8477 or you can click on the "Submit A Tip" tab to the right. 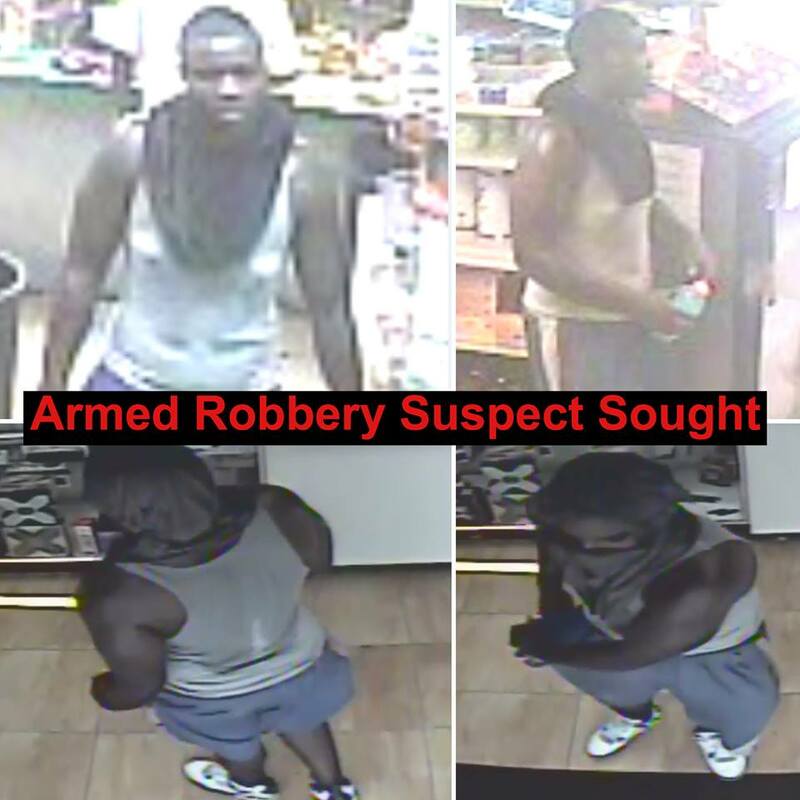 On Thursday, July 13, 2017 at 11:40 pm, JSO patrol officers responded to reports of an armed robbery in the 3900 block of Hendricks Avenue (Gate Gas Station). Witnesses advise the suspect entered the business and initiated a purchase of cigarettes. During the transaction, the suspect produced a handgun and made demands for the employee to open the register. The employee handed the suspect the cigarettes and a $100 bill the suspect attempted to pay with. The employee turned around to run and the suspect fired the handgun one time hitting the pant leg of the employee. The suspect was last seen fleeing the area on foot. Anyone who has any information in regards to the identity of this suspect is asked to contact the Jacksonville Sheriff's Office at 904-630-0500 or email them at JSOCrimeTips@jaxsheriff.org. To remain anonymous and receive a possible reward up to $3,000 contact Crime Stoppers at 1-866-845-8477 or you can click on the Submit A Tip tab to the right of this post.